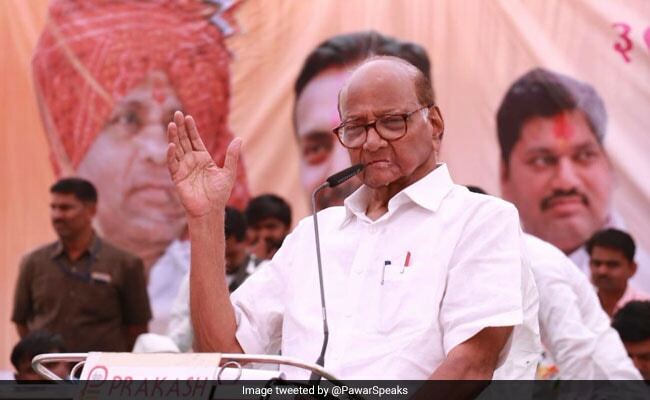 NCP chief Sharad Pawar today said the UPA would give complete farm loan waiver and conduct a detailed probe into the Rafale fighter jet deal if it forms the next government after the April-May Lok Sabha polls. Mr Pawar was speaking at the poll campaign of Rajendra Shingne, the NCP Lok Sabha candidate from Buldhana. The Congress has been alleging graft in the Rafale deal while the Centre has maintained that it was carried out following laid down norms. "We will carry out a detailed probe into the Rafale deal and will not keep quiet until the truth is brought out. We will also solve the problems of farmers once the Congress and NCP's UPA comes to power," he said at a rally. "We will also give complete loan waiver to farmers as well as 1.5 times support price. We don't just make announcements," the former Union agriculture minister said. He said the UPA had given loan waiver in the past (in 2009) too and added that no compromise would be made on issues concerning farmers. Mr Pawar also accused the Narendra Modi government of trying to dismantle the country''s democratic framework. "Get ready for ensuring change and dislodging the Modi government," Mr Pawar said. Congress general secretary Mukul Wasnik was among the leaders who too attended the rally.